There’s a reason everyone makeup artist says their desert-island product is mascara. Lengthening, thickening, and darkening the lashes brightens your eyes like nothing else. It’s the one product that has the most drastic and immediate effect. While everyone’s on the prowl for the best mascara, I realized that no mascara could cure my particular woes. So what’s a girl to do? I looked into my options and ultimately found my holy grail of solutions. The Lash Lift. Working and living in NYC, I’ve seen plenty a woman with lash extensions. If you’re not familiar, there’s a procedure where you literally get tiny little hair extensions glued onto the end of your individual lashes. This process takes around two hours, costs hundreds of dollars, and needs to be repeated every 3-4 weeks as the extensions begin to fall off. You have take care to brush your lashes out with a spoolie brush, so they don’t get tangled, and you cannot use ANY oil on or near your lashes. Uh oh. I don’t know about you, but I am a devotee of double cleansing. I use an oil cleanser to remove all of my makeup, and lash extensions would prevent me from doing that. Would I really risk having makeup and grime stuck in my pores causing nasty breakouts simply because of my stupid lash extensions? Nah, fam. I’d resigned myself to a life of lifeless lashes. That is, until I discovered the Lash Lift. After stumbling across an article about the Lash Lift, I realized this might be my holy grail. The last lift is, essentially, a keratin process, perm, and dye for your lashes. It costs a little less than lash extensions, but, and here’s the kicker, it only takes 45 minutes and lasts for about 3 months! Basically, your lash is permanently curled, but it doesn’t last forever because lashes fall out. Your lash life cycle is, you guess it, about 3 months. What’s great about the Lash Lift is that, unlike lash extensions, your lashes won’t look all wonky as the process starts to fade. Your lashes just start to slow look less lifted, and so you book a new appointment. Here’s how the process works. You go in, lie flat on a table, and they put little rubbery, crescent shaped pad on your eyelids. Then, they sort of “glue” your eyelashes flat onto the rubber pad. It sounds scary, but it doesn’t hurt at all. It feels a little weird, for sure, but you get used to it. Then you go through a series of solutions being put onto your eyelashes, and letting it sit for about 45 minutes. 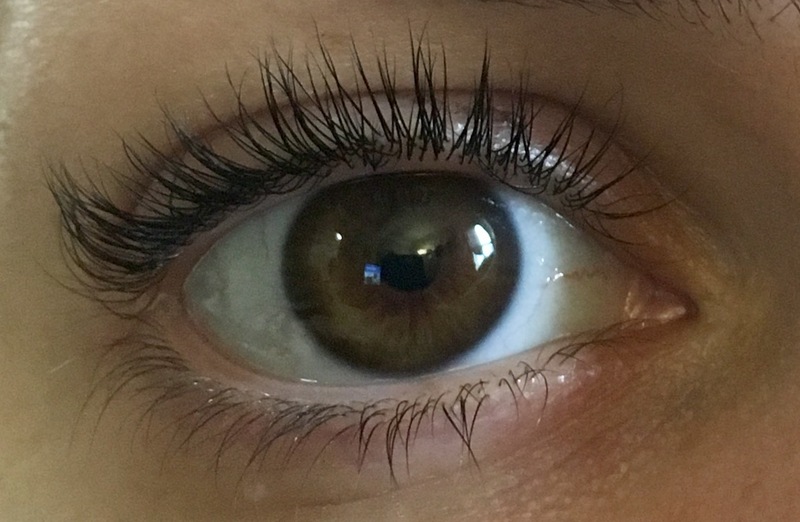 I did the YUMI lash lift, which is a trademarked keratin lash lift. I was absolutely BLOWN away by the results. It was like night and FRIGGIN day. You can clearly see that my lashes are sky high now, but they’re also darker. It looks like I’m wearing mascara, when I actually have NOTHING on. In fact, my lashes were so high, they hit my upper lid and bit, which I found a tad annoying. Next time, I might have to tell them to tone it down a notch! Words of caution, make sure you have them do an allergy test. There was miscommunication when I went, and I wasn’t able to get one before my appointment; however, you can never be too careful when it comes to your eyes. Make sure they do a small patch test with the solutions first, to ensure you don’t have a bad reaction. Also, my mother loved my eyelashes so much that she got the procedure done…. and it did nothing. We’re still not sure why, but know that some lashes might be more resistant to the formula. Apparently, the formula can be left on longer if needed, but it might be a bit of trial and error. Make sure you talk to your technician to make sure you talk about your options. 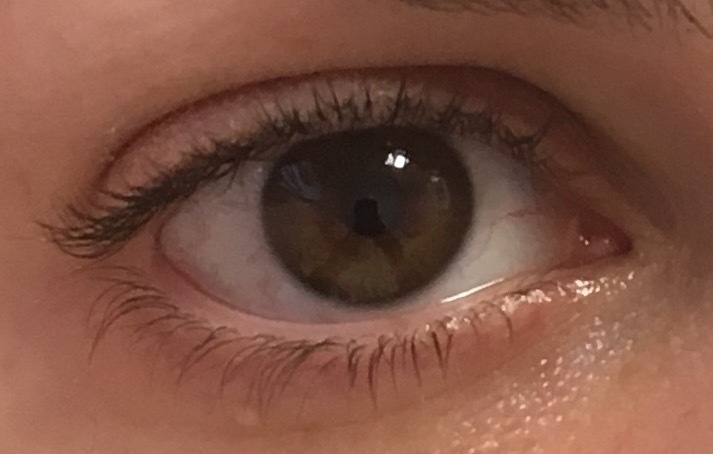 After my lash lift, I’m never going back. If your lashes are like mine, and you’re not ready for the super high-maintenance life of lash extensions, the Lash Lift might just be your new favorite thing. I am the same with the double cleanse and have wanted to try extensions but I just can’t do it! The lash lift results are amazing though, I would try that. Thanks for sharing! Holy crow! Your after photo looks AMAZING! I’m going to look into this. I don’t have thick / long lashes but every little bit helps! You’d be surprised how even a little lift and the slight tint just opens up your eyes! Again, if it doesn’t lift much the first time (which is what happened to my mom. She must have stubborn lashes!). Wait a while and try again, but make sure to have the discussion with the technician. He/she may adjust the process to try and improve your results. Good luck and hope you love it!